As of 2:40 PM Pacific Standard Time, Australia is the latest nation to be hit by a tsunami triggered by the massive earthquake in Chile. According to Australia’s International News Online, waves up to five feet have rammed into New Zealand and Australia. No one has been reported injured there. At 1:17, the San Jose Mercury News is reporting a Tsunami Advisory in the Bay Area, and to stay away from beaches: "Devastating waves aren't expected to hit the California coast, but officials don't want to take any chances." At 1:15 PM, we are awaiting the tsunami to hit Hawaii. In Chile, the capital has lost power, phone, and water services. At this point, no Americans have been reported dead or injured, according to CNN News. The State of California is trying to pass a no swearing week for residents. This "no cussing" week will officially begin next week, which passed the State Assembly on Thursday, February 25th, 2010, and must pass the Senate, according to KTLA News in Los Angeles. At around 2:00 PM in Orlando Florida on Wednesday, February 24th, a killer whale killed its trainer during a live performance at Shamu stadium, the third death caused by the whale. This tragic event is being investigated by Sea World. The Examiner is reporting that the 40 year old trainer slipped and fell, and was then drug under water and killed. Though the park spokesman said it appeared that the trainer slipped and fell, multiple sources who were watching the show described the whale pulling the trainer underwater and thrashing her about violently. Russell Goldman of ABC News reports the whale’s weight as around 12,000 pounds that has twice before been involved in the death of humans and that this most recent event caused the whale’s trainer to drown. The entire event unfolded during one of the day’s live shows that are one of the main attractions to the theme park in Orlando, Florida. The whale’s name is Tilikum and is 30 years old, according to the Daily News. This source suggested that Tilikum may be getting unpredictable in her old age as part of the reason for this vicious thrashing, as it was described by witnesses of the horrific event. Her trainer was Dawn Brancheau who had worked with the whale for years. The Orlando News Sentinel is reporting that Dawn had wanted to work with whales since she was a little girl and had a passion for marine biology from a young age. Her mother said that she loved her work. She ended up giving her life for the job she loved. Paramedics were unable to revive the trainer and she was pronounced dead on the scene. The park is now closed and there will be a full investigation into the incident. San Diego’s SeaWorld also closed its whale shows for the day. I feel terribly for the family of the trainer, and am shocked that this whale was allowed to be contained after two previous instances of human death linked to it. This event may serve as a re-evaluaiton of animal park operations. One of the most embarrassing and utterly disappointing moments of all time in sports. The World Record holder going for double gold is coming around a turn when his coach yelled at him to take the inside lane - BUZZZER - Wrong! Sven was in the correct lane and was disqualified at the end of his run and will not receive his second gold in the Vancouver 2010 Olympic games. The mistake was made on the 17th lap out of 25, four seconds ahead of the man in second, to no avail, congrats Lee, you stayed in the right line and were pretty fast. "Inside? No, not you, the rink, its inside here...nice right? Sven? Where are you going? "The Super G". This is a best of reel from Sunday's 2:00 radio show Hardline on AM830. Hardline is Hosted by Shawn Fago and Will Bruzzo, and produced by Danny Hauger. Evan was able to escape snake bites from his own suit and take gold in the most figure skating I hope to ever watch again in my life. I was just checking to see if the Russian would try and Drago him afterwards. I was impressed by Evan's on mic presence of mind and sportsmanship in response to the interviews. Very classy. SEO web design is crucial to getting traffic to your site. Being atop the search engine ladder is key to internet marketing success. Contact Globe Runner SEO today and watch your numbers fly. TILTcast: This I learned today. From Jeff Biggs and The Drive on AM 830, (weekdays 3 to 7 PM on AM 830) this i learned: Who would you pick to have lunch with of any sports legend? 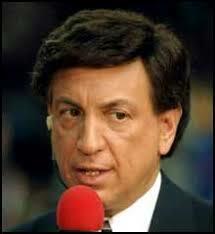 I chose Marv Albert to have a sensational soup from downtown! 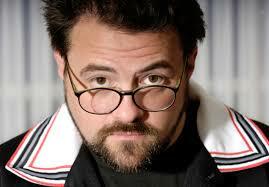 This I Learned Today: Is Kevin Smith Fat? Or Drunk? And Why do people care? While I don't traditionally comment on celebrity news, this one is quite confusing, and centers around someone I consider to be a pretty cool guy and great film maker. I still think there is more to it than being fat and trying to fly after making a Mac conference presentation, and he's getting a heck of a lot of play in the media now. More of the point of what I learned today: Social media is beginning to change the game completely in terms of social influence. Especially under the light that fans are prone to believing blindly, what do you think happened? Click below to comment. Don't forget to subscribe to the podcast. Be careful when you are in front of that camera. Baltimore Oriole's relied pitcher Brad Bergesen injures himself during a commercial shoot for the 2010 season. This after being out hit in the shin by a line drive last year! Softball needs to be canned so sports like trampoline and figure skating can survive? Extenze and Enzyte are not the same product. Often times similar products are just passed off as the same thing under different names. This is not the case in this situation. There are some similarities. Both products are available over the counter without a prescription. Both are not recommended for minors and should not be abused. Both are safe for adult use who are healthy. There are differences, however. For example, those who are worried about potential side effects of male enhancement may be better suited to choose Extenze. Just as friend of the show John Lam noted a while back, Extenze works for him. He had tried many things to cure his lack of performance and was left wanting. John found much improvement from Extenze and continued to use it on a semi-regular basis. John knew nothing was guaranteed but was impressed by his own personal results with Extenze. The one thing that should be noted is that neither product should be used to cure any disease. That said, if you are looking for a supplement to improve your function, consider the embedded link above and do your own research on Extenze today. You can decide for yourself what is right for you. I watched the entirety of the Vancouver Winter Olympics 2010 opening ceremonies last night. Great to see the parade of nations and a lot of international good will. Overall was pretty impressed with the massive productions. A few things I learned from the ceremonies that I did not expect though. Joking aside, Canada did a great job with a massive ceremony with only one crucial mistake. Great to see Nash and Gretzky out there, a lot of fun to kick off what will hopefully be a great games. Good luck to our 200+ USA olympic athletes! If you are going on vacation soon I am sure that saving money has become a key priority in your planning. consider a vacation rental this year instead of wasting money on a hotel that looks like every other place you have ever stayed. If you have not tried luxury vacation rentals , I think you have missed out on staying somewhere else in true style and relaxation. Having vacation rentals is like living at home on the road in comfort and ease. All of the amenities without the costly mini fridge and unclean comforters of a hotel. Staying in vacation homes is a better value and much more spacious. For more reasons why rentals beat hotels, watch this vacation rentals video today and enjoy your vacation in style! Subscribe to this podcast! A novel idea for Valentine's Day, this I learned today, why spend eight dollars on twelve cents of chocolate, or $5 on a five cent card print, when you can tell your girl or guy how you feel about them this year. Better yet, make something special for them by hand. Avoid the commercialism without giving up the niceties of your relationship. Be creative, its more romantic anyways. Best of luck in all ways of health and love to you all this Valentine's Day, 2010, from Danny Hauger Podcasts and the Tiltcast. When I was a kid, one of the fondest memories I have was panning for gold near San Francisco. That sparkle of metal in a tiny vial is something that has stuck with me to this day, though the vial had long been lost. Boy I wash I had that now! This is a terrific time to have assets in physical gold or gold investment. With a dollar that fluctuates daily and an unsteady international economy, this is a fantastic time to buy gold. Gold is near all-time highs in value and is a proven investment. Gold is valued worldwide and holds its value extremely well. Check out gold today and consider purchasing some of what the world has always believed has held value. Best wishes and health to everyone! ________________________________________________ Subscribe to this podcast!